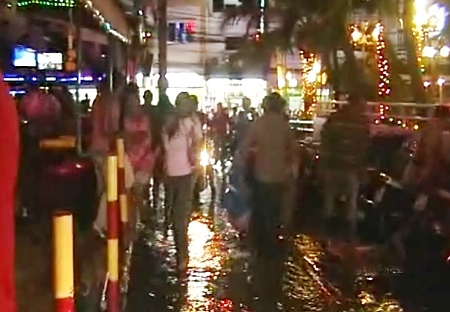 Just after midnight on August the 30th our reporters were called to the ever-popular walking street, as a report had come in that there was raw sewage spilling onto the road at the entrance of Soi 16. Apparently this had been leaking for two days and it took some time for the authorities to do anything about it. The smell had kept tourists away from the neighboring the bars and entertainment venues causing them great losses. but did he bring his waders? In time the manager of the waste water treatment plant ordered officials to investigate the leak and ascertain where the problem was coming from. The problem apparently emanated from a faulty valve which had caused increased pressure within the sewage system resulting in the pipe bursting and spilling the sewage onto the road. 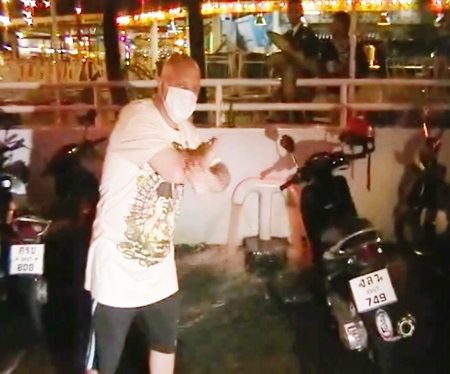 Pattaya will have to be quicker to react to these types of incidents if it wants to be regarded as a tourist city, one that is still plagued with jet-ski scammers, necklace thieves and gangs of pick-pocketing ladyboys.